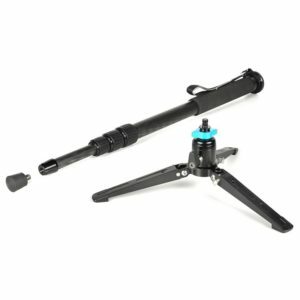 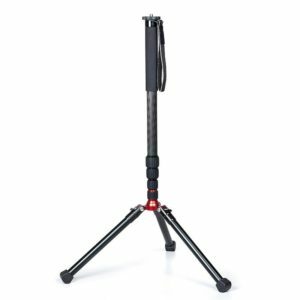 The Tiltall Bi-Pod BM-826V is 4-Section Carbon Fiber Monopod BM-826C isreversible tripod base legs for reduced pack size. Non-slip rubber feet. 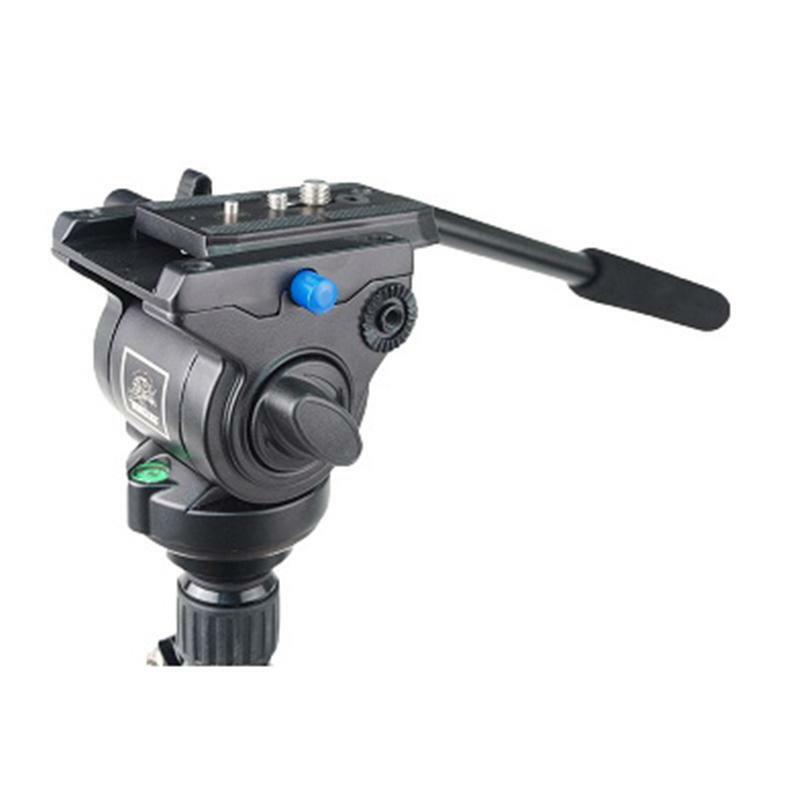 and Video Head K-205. 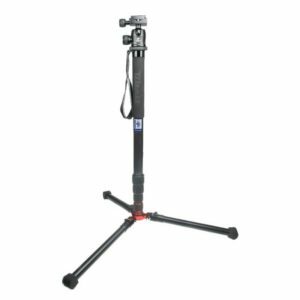 Can be used as a conventional monopod when tripod base is folded upwards or detached (for description and specs see MP-284C monopod). Detachable rubber foot on stainless steel spike. 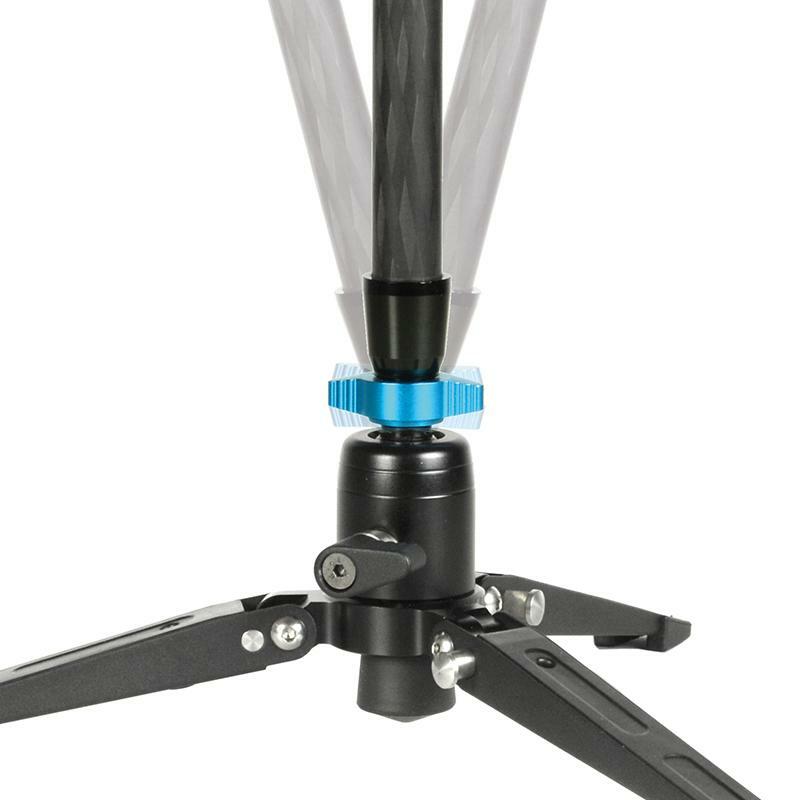 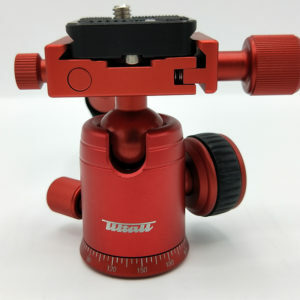 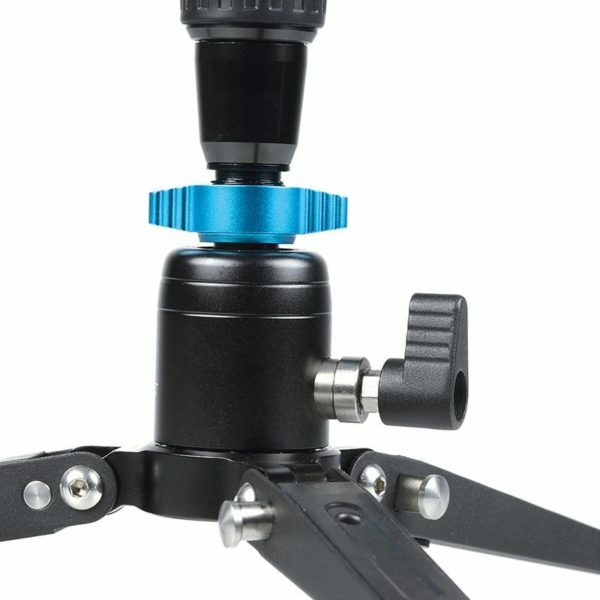 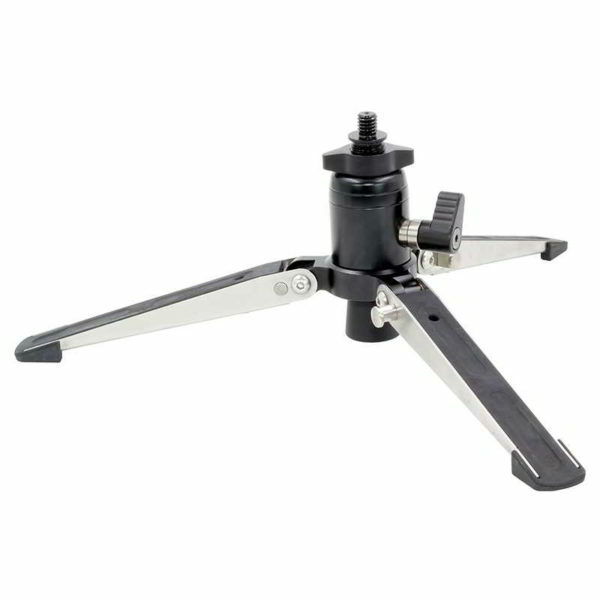 The detached tripod base can be used as a table tripod for equipment with 3/8“ connecting thread. 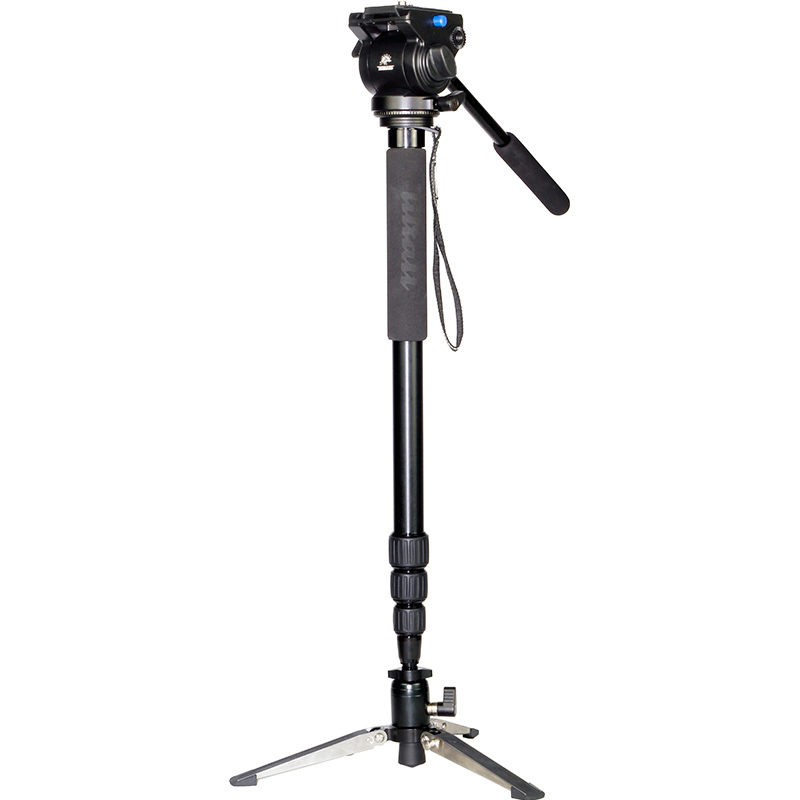 Compact and sturdy monopod made from eight-layer carbon fiber with detachable tripod base, made from steel/aluminium. The Bi-Pod supports and facilitates camera work and handling. 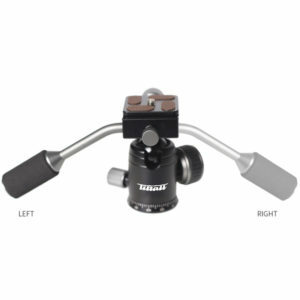 Quick set-up by simultaneous opening of all twist locks. 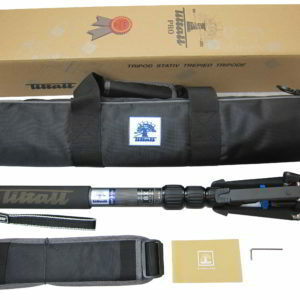 Sections with anti-twist protection. 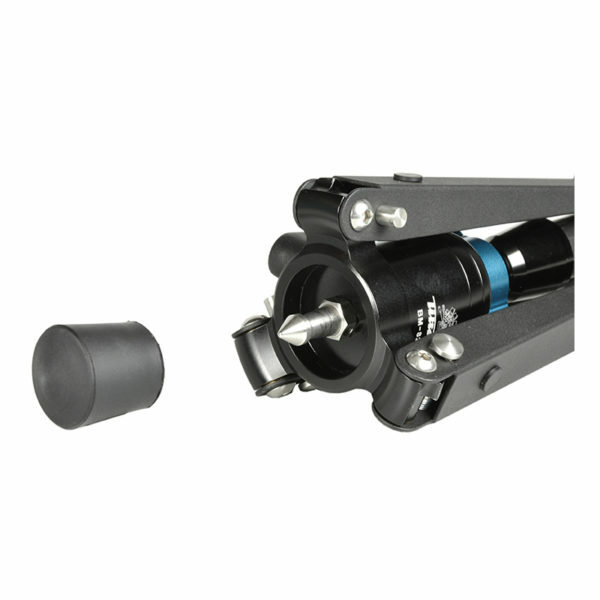 Exchangeable threads 1/4″ / 3/8″. 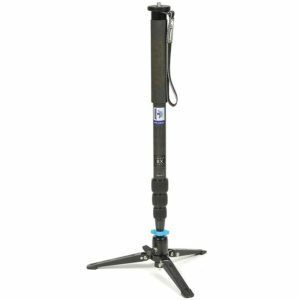 Foam rubber leg warmer protects against cold. 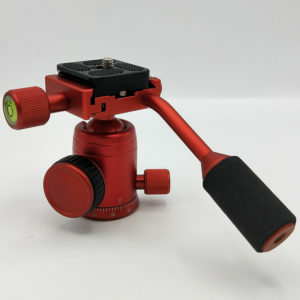 Convenient wrist strap. 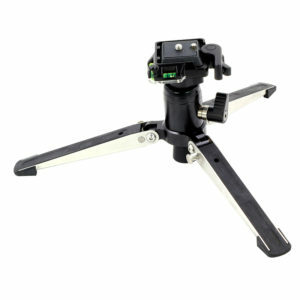 Tripod base with ball head for tilting the monopod up to 15° in all directions. Centering for vertical position and rotatable ball head base allow 360° pan shots. Each position can be locked. Reversible tripod base legs for reduced pack size. Non-slip rubber feet. 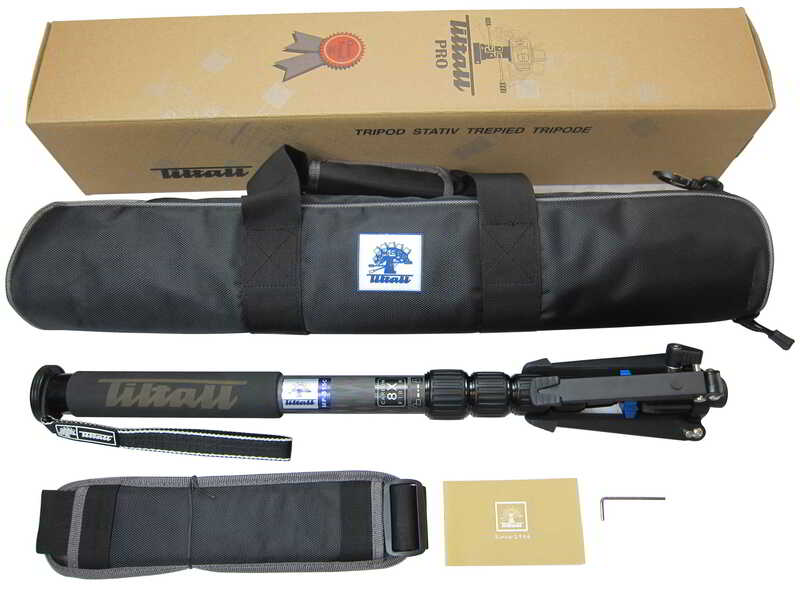 Comes with a padded carrying case with carry handle and adjustable, detachable shoulder strap.